Japan Airlines announced this week that it will start a new nonstop daily flight between Tokyo-Narita and Seattle, Washington from 31st March next year. This new route will be JAL’s sixth West Coast route operating between Japan and North America and marks a major milestone for the carrier. "We are pleased to announce the introduction of the Seattle-Narita route, which will go into service in March 2019. Along with our joint business partner, American Airlines, we look forward to welcoming more visitors to Asia for business or pleasure who will experience Japanese hospitality from the moment they step onboard the aircraft," said Tadashi Fujita, Executive Vice President of Japan Airlines. 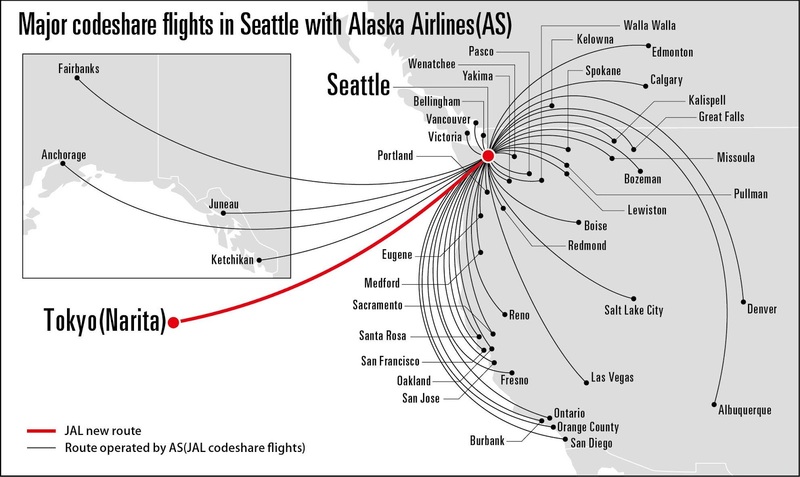 As part of this announcement, JAL and Alaska Airlines agreed on an expansion of their codeshare partnership for flights via Seattle-Tacoma International airport (SEA). "I am honoured to be able to announce the expansion of our codeshare agreement with Alaska Airlines, a valuable partner for us in the U.S. market," Tadashi Fujita explained. "We are delighted to welcome Japan Airlines, a valued Alaska Global Partner, to our hometown of Seattle," said Brad Tilden, Alaska Airlines Chief Executive Officer. "Our guests in the Puget Sound region and beyond will enjoy nonstop access to Tokyo and convenient connections throughout Asia. With the new daily JAL flights, our partners will offer nonstop service to 10 international destinations from Seattle on over 80 flights per week by next summer, more than any other airline or alliance group." 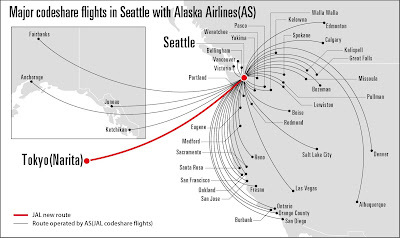 Currently, JAL codeshares with Alaska Airlines to 16 unique destinations on 25 U.S. West Coast routes. In conjunction with the new Tokyo-Narita to Seattle service, JAL will gain codeshare access to over 40 new cities on flights operated by Alaska. Through this expanded agreement, customers will be able to seamlessly connect in Seattle when travelling to and from Asia.